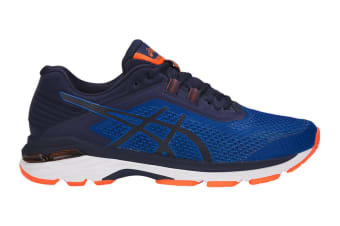 Enjoy the supreme comfort and support offered by the GT-2000 6 Running shoes – designed to provide you with the cushioning and shape required for smoother foot transitions while you run. Designed to provide enhanced gait efficiency while providing midfoot structural integrity. Attenuates shock during impact and toe-off phases, allowing for movement in multiple planes as the foot transitions through the gait cycle. Provides exceptional bounce back and responsiveness no matter the distance, utilising organic super fibers to help reduce packing out that traditionally happens with softer, low density foams. Provides the ultimate combination of bounce back and cushioning properties with reduced weight and exceptional durability.